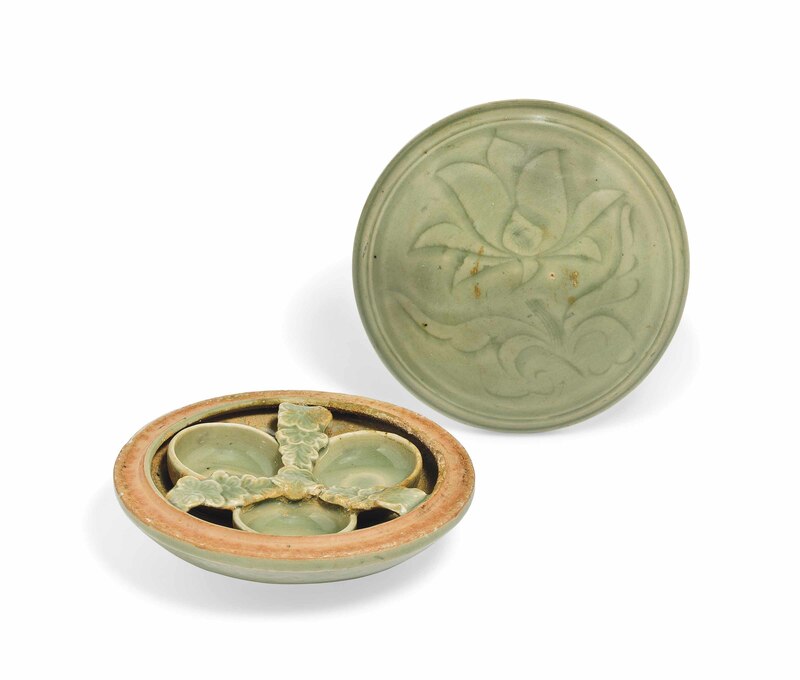 The slightly domed cover carved with a large lotus flower on a leafy stem, the interior with three circular containers separated by three floral straps. 4¾ in. (12 cm.) diam.